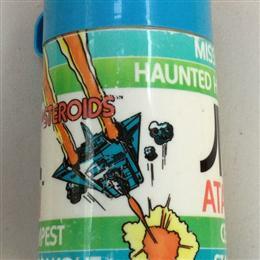 Just the Thermos, don't have the lunchbox to go with it. 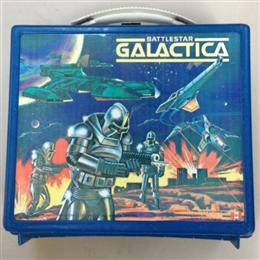 Plastic Battlestar Galactic lunchbox in good condition, no thermos. 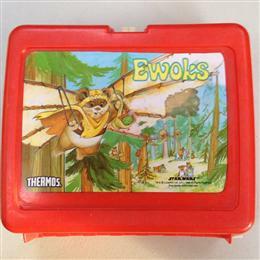 Original Star Wars Ewoks plastic lunchbox, no thermos. 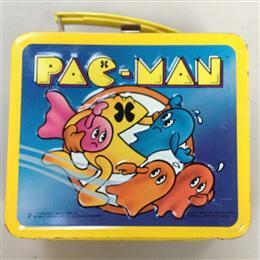 Original metal Pac-Man lunchbox in good condition with thermos. 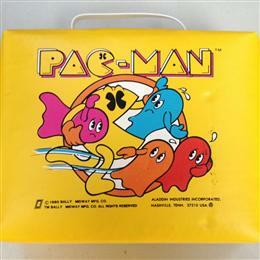 Vinyl Pac-Man lunchbox in very good condition. 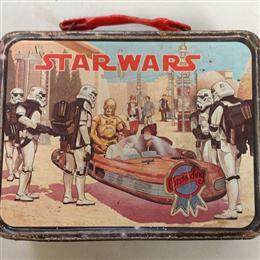 Vintage metal Star Wars lunch box that has seen better days, but great artwork.